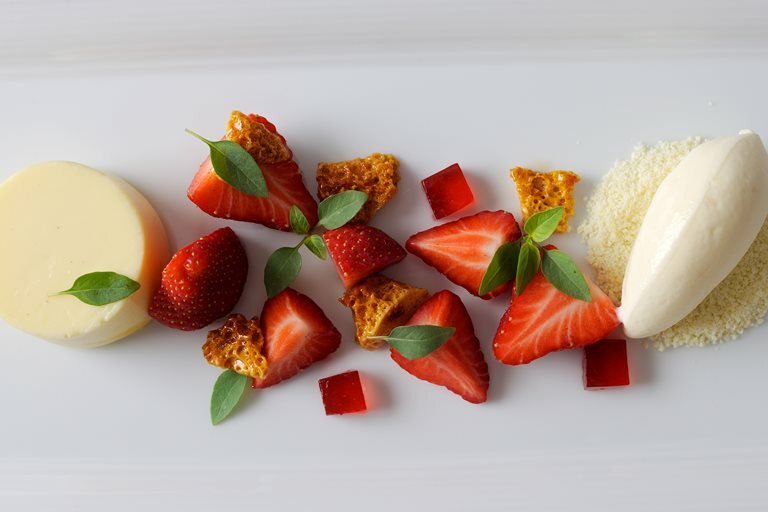 Alan Murchison's white chocolate panna cotta is supported by some homemade honeycomb and vanilla sorbet. Strawberries complete the dish, but substitute them with other seasonal fruit, if out of season. This superb dinner party dessert needs to be planned ahead – the sorbet must be frozen for 24 hours.